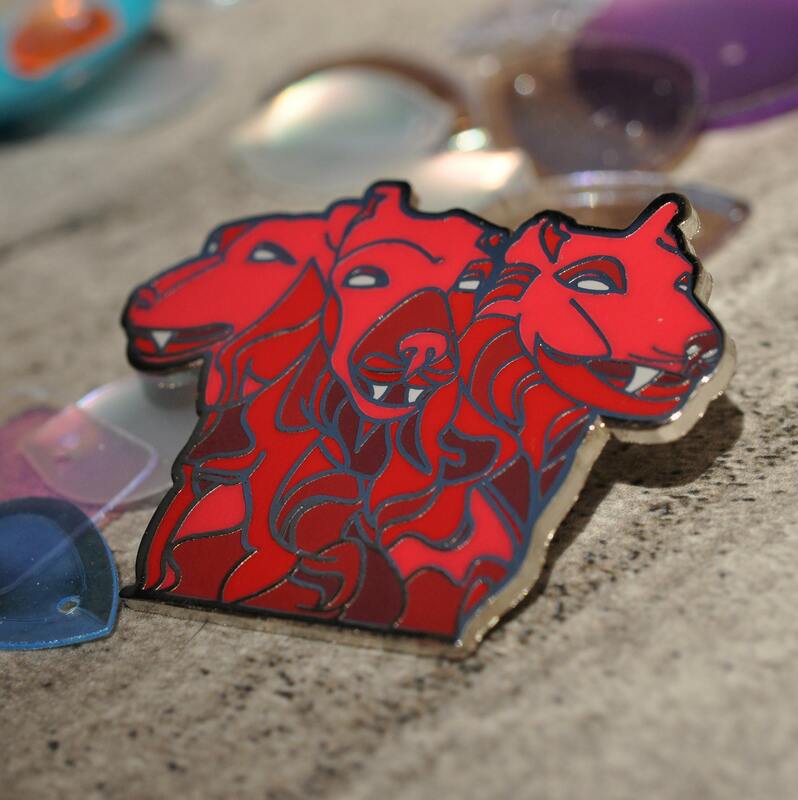 High quality handmade hard enamel pin depicting the hound of Hades, the trusty guardian of the gates of Hell himself (himselves? ), Cerberus! If you're an art school dropout, graduate, a master of the fine arts or just a plain old cryptozoologist, you've come to the right place.